Anagram would have been a more appropriate title for this jumbled mystery-suspenser by the usually reliable Woods (Grass Roots, etc,). As it is, the title refers to a pair of identical twins--and that's a puzzle in itself, since Keir and Hamish Drummond play a relatively minor role in the mixed-up goingson here. At center stage is plucky photographer Liz Barwick, whose entrance proves the story's dramatic highpoint as she staggers into an Atlanta hospital beaten and raped to near-death, a victim of the steroid-fueled rage of her football-star husband Baker Ramsey. 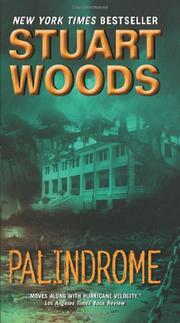 While still in the hospital, Liz divorces Ramsey with the help of hotshot lawyer Al Schaefer; when she gets out, she retreats to Georgia's isolated Cumberland Island to begin a book of nature photographs. At this point, the plot forks into a tepid mystery and a thin southern gothic. The mystery, offering no suspense, involves an Atlanta homicide cop slowly deducing the obvious: that Ramsey, who has begun to kill people associated with Liz (attorney Schaefer is the first to go) is indeed a murderer and in fact plans to ice Liz as soon as he tracks her down. The gothic, offering no chills, does feature some curious characters--members of Cumberland Island's reigning Drummond clan, including dashing 91-year-old patriarch Angus and his handsome twin grandsons Keir and Hamish. Flirting with Angus, but falling in love with Keir, Liz wallows in local intrigue--who will inherit Angus's fortune? why do Keir and Hamish never show up together? who will the resident giant gator eat next?--even as Ramsey is bullying his way to the island for a final, corny, hurricane-set confrontation. Nice local color, but meandering and clumsy--and even Lois Lane could have figured out why the twins never appear together. Palindrome? Pap.